Hilton Athens hotel, for the fourth consecutive year, has been awarded Greece’s Leading Business Hotel at the prestigious 25th World Travel Awards (WTA) 2018. The WTA every year recognises and rewards best practices across all sectors of the tourism industry in every continent around the world. The WTA Europe Gala ceremony was recently held at the Zappeion Megaron Hall in Athens. 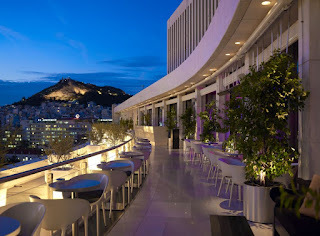 “It is an honor for Hilton Athens to be awarded at WTA for the fourth consecutive year. This award recognizes, not only the exceptional level of the hotel’s services, but also the staff’s devotion in offering high-end hospitality to our visitors,” Hilton Athens General Manager Bart van de Winkel said while receiving the award. Located in the heart of the Greek capital, Hilton Athens currently offers 506 spacious rooms including 34 suites; 23 fully equipped halls for conferences and events, as well as multiple other venues, which make it the ideal choice for visitors who wish to combine business and leisure. These include an Executive Lounge with an impressive view to the Acropolis; a Business Center; bars and restaurants; a fully equipped gym and spa; an indoor and an outdoor pool, as well as a number of services to facilitate its guests, including express check-out and high-speed wifi.